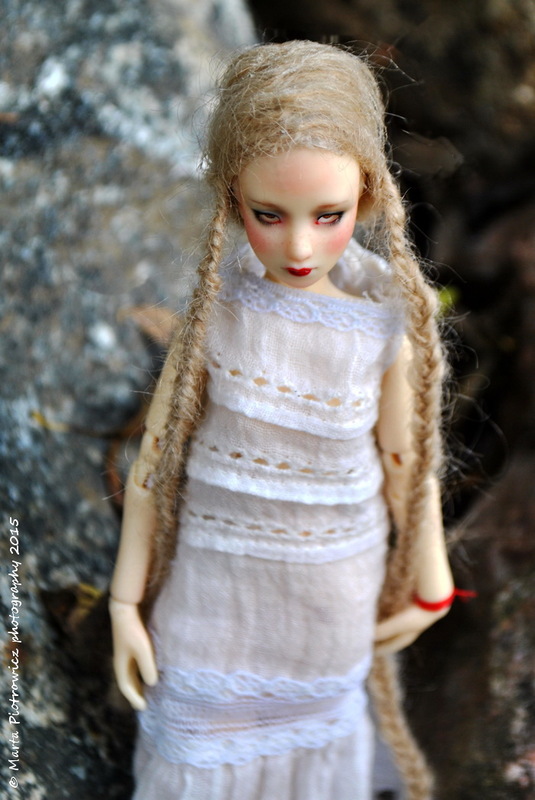 She's been repainted by Shailel, her whirte cotton dress and mohair wig was made by me - Dollmino. 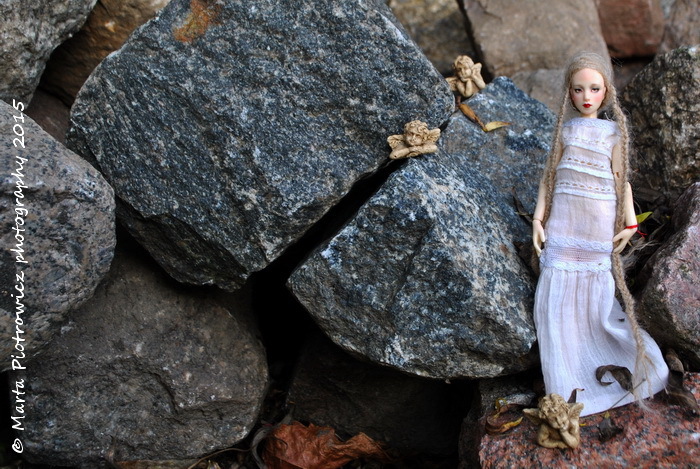 And the pile of stones under my fence has become a perfect backdrop for photos. Na powitanie roku Fleur Rosen Garden - mała ale z charakterkiem ;) i z muszką na policzku ;) Makijaż zrobiła Shaiel, sukienkę i perukę ja - czyli Dollmino, sterta kamieni pod moim płotem stała się świetnym tłem na zdjęcia. 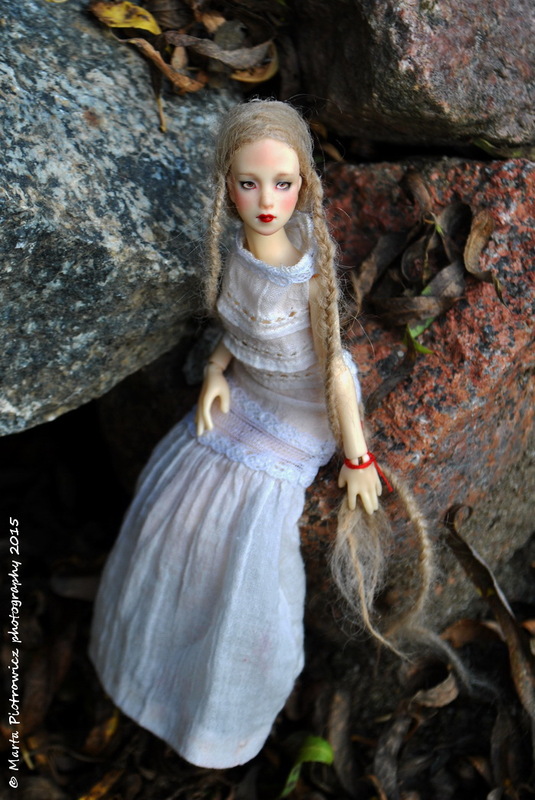 The photos are beautiful, they do this lovely doll justice! Your wig is awesome, it's perfect for her! 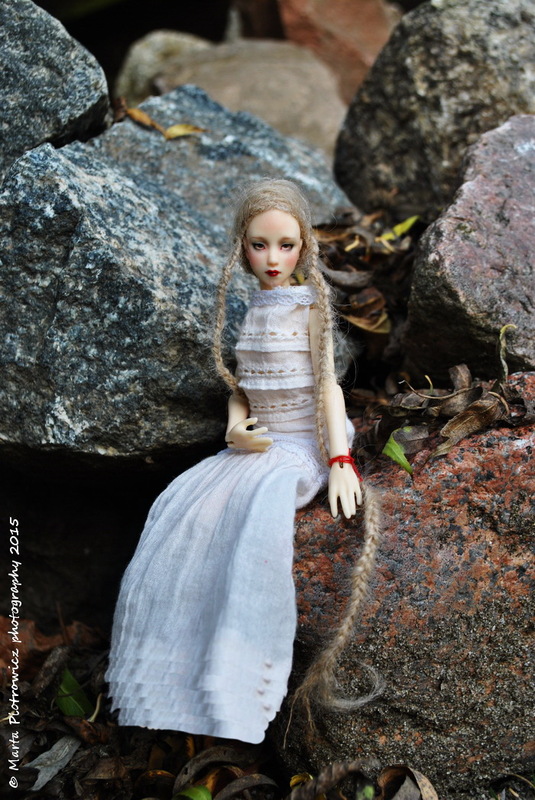 Lately I liked making doll's wigs - especially such small ones. 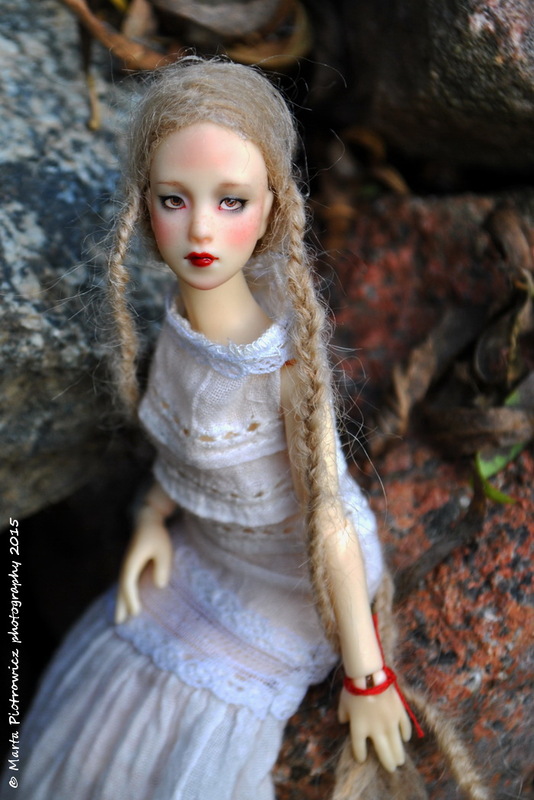 It goes quickly and changes entirely doll's look. 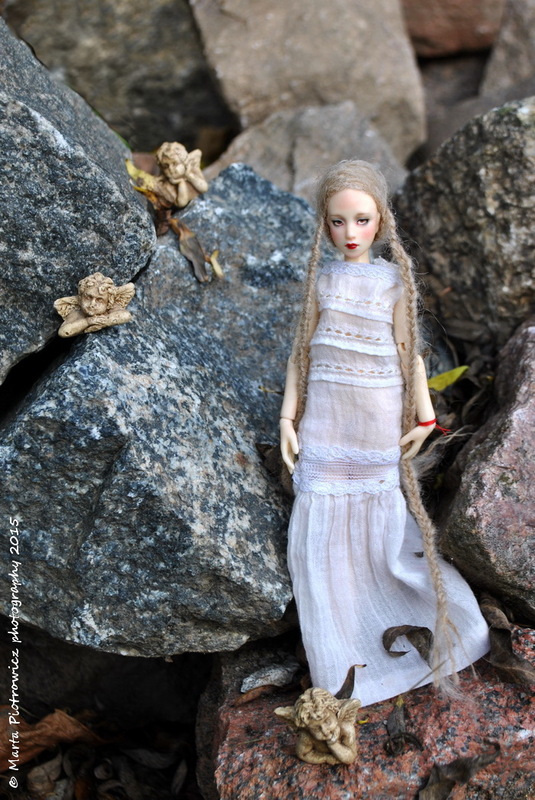 The dress was made of vintage batiste.